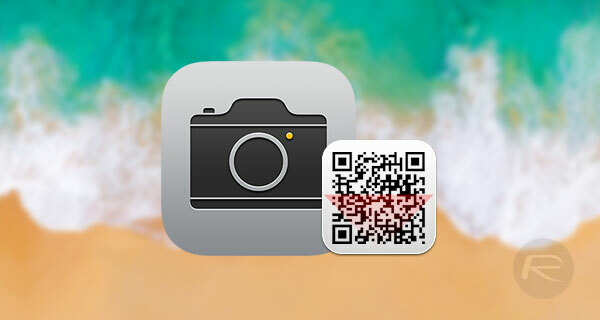 Here’s how to scan QR codes natively in stock iOS 11 Camera app on an iPhone, iPad or iPod touch device. Apple took the WWDC crowd on a wonderful investigative look into iOS 11 at the opening keynote, but there simply wasn’t enough time to cover every single aspect of the new platform. Apple has offered developers access to a barcode scanning framework in the iOS SDK for quite some time now, but it seems that one new feature within iOS 11 is the ability to natively scan QR codes without needing any additional software. If you are opting to run an iOS 11 beta, and love the idea of welcoming in a QR code resurgence, then follow the simple steps below to see how to interact with QR codes in iOS 11. Step 1: With iOS 11 installed, launch the stock Camera app on the device. There’s nothing third-party needed here and certainly no downloads from the App Store required. Step 2: Next, you can’t scan a QR code without the presence of a QR code. Make sure you have some literature with a QR code printed on it or generate your own from the Internet with some arbitrary text in. 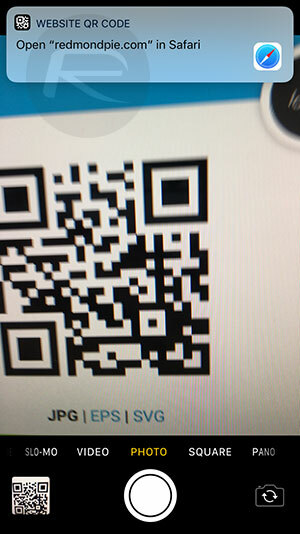 Step 3: Using the native Camera app, point it at the QR code, which will either be in print or on a display, and tap on the screen to focus if required. Step 4: And that is literally all that you need to do. The QR code will be recognized. The information will be extracted. And you will be presented with whatever the payload of that QR code is without having to use any additional third-party apps or readers. It’s highly likely that having native QR code reading built into iOS will mean that people actually start taking the technology serious once again and putting it into practice. We’re sure we will see more on this as iOS 11 is progressed, including finding out additional tidbits, but for now, it’s great to know that the native Camera app has been injected with some additional power that users will find valuable. What if there’s text instead of a website? What is there’s a link to an app? I’m excited about this feature. My students use qr code all the time. They typically use Snapchat to open the links but since Snapchat is blocked on our network the kids have to use data (which their parents limit sometimes). Simple things can be very effective. It only feel fitting to celebrate the 10th anniversary of the iPhone that apple introduce a method of communication which the original iPhone didn’t support and that no one else uses now either.